The Love to Dream Inventa Sleep Bag is designed to help little ones and their parents achieve longer, more restful sleep. 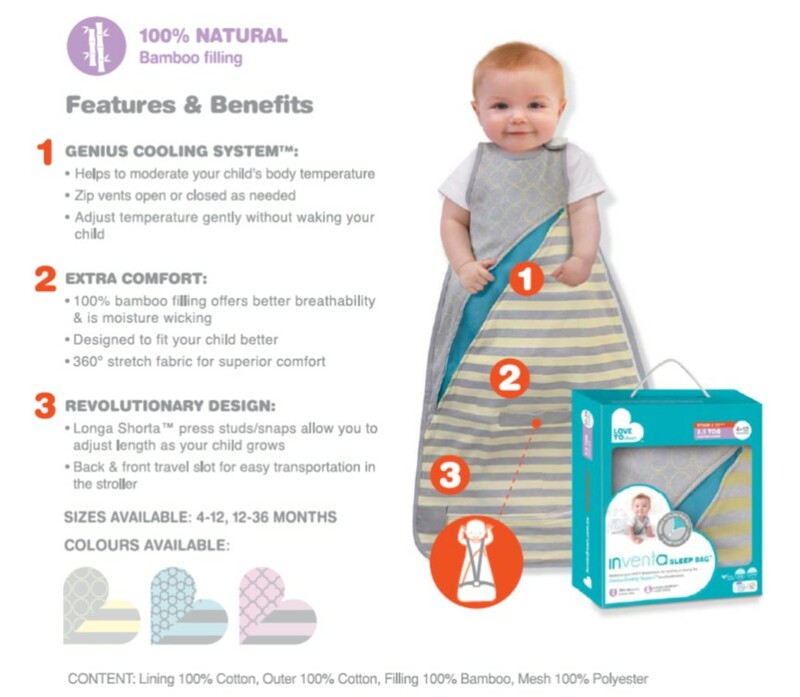 With super-soft , breathable material and unique climate control features, this sleep bag is ideal for keeping your baby or toddler comfortable through the night. Clothing table is to be used as a guide only. All babies are different. The number of clothing layers may vary according to a child's health, their physiology and the temperature in the room. The carer must determine what is suitable.